YA books about young people with "issues" are very on-trend at the moment and so, when a friend recommended this book to me, I must confess to some resistance as I've read far too many "worthy" books recently and was becoming a little jaded with them. Don't get me wrong, many of these books are important, but there are an awful lot that are not. 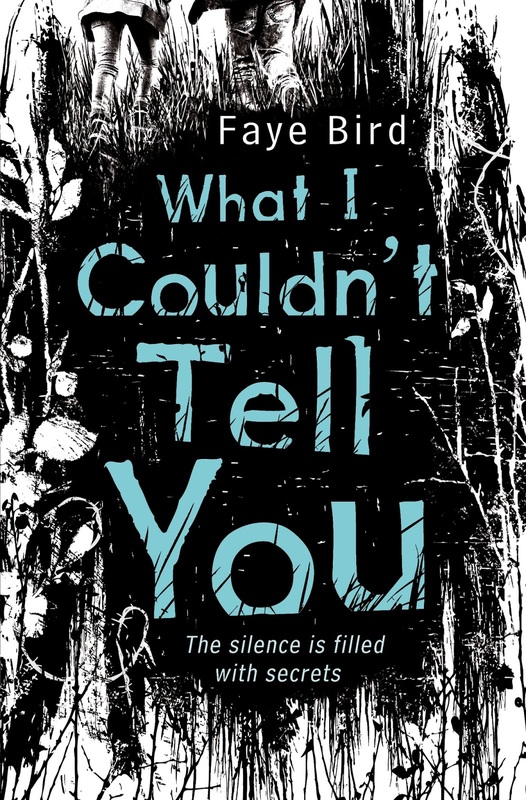 I was wrong to dump this book in with the masses, Faye Bird has given us quite a different thing. This is a book about a girl who is caught up in a terrible event, a girl who desperately wants to know what happened to her sister, a girl who wants more than anything for her life to go back to what it was before the attack, a girl who like all teens just wants to be happy and to have friends - and this girl happens to be selectively mute. Faye Bird has achieved a remarkable thing here, she has managed to deliver to the reader a very detailed understanding of the life of a SM young person, without ever being patronising or giving us infodumps. She does this by putting us firmly in Tessie's shoes. The prologue sets the scene by introducing us to Joe and Laura, but when we move on to the next chapter we are with Tessie. Bit by bit details of the attack on Laura trickle into our laps but, just like Tessie, we are mute. As readers we want to shout out to Tessie, to warn her, to tell her what we think, to tell her what is really going on... but we can't. We want to tell Tessie to go to someone, we want to share what she knows but we too are mute and can't be heard. Characterisation is so well handled in this novel that I bonded quickly with Tessie as she is incredibly likeable. I became so fond of her and found myself missing her when I finally closed the book. Her frustrations and confusions become ours, we feel her struggle and I know that YA readers will find a great deal to identify with in the twisting and turning sub-plots. I particularly like the fact that Bird does not neatly solve everything with a perfect happy ending. Life isn't like that and not every broken thing can, or should, be fixed. This sounds so good. I love books with complex characters that become so real I feel as though I know them. Great review. Thanks for sharing. There is a chance you are qualified for a free $100 Ikea Gift Card.